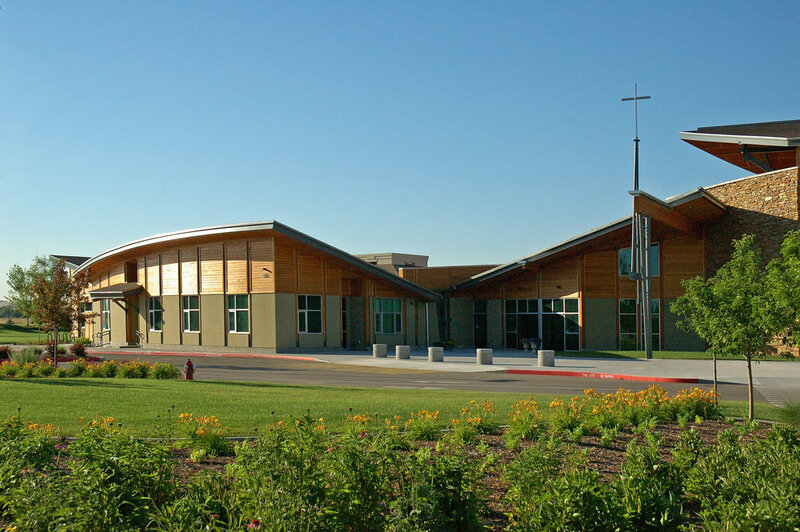 Risen Christ Catholic Church — The Land Group, Inc.
With an addition to the existing church building, The Land Group provided landscape architecture and civil engineering services for the site design and construction in compliance with City of Boise Design Review standards. Landscape features included design of paving and plaza areas, site furnishings, planting design with shrubs and perennials, lawn areas and trees in a parkland setting. Storm drainage swales were designed as landscape elements with dry stream bed features, cobble rock, boulders and ornamental grasses. Additional civil design includes site layout of driveways and parking lots, grading and drainage and utility design for water and sewer. Construction plans and details and construction observation were provided to the client with coordination with the project architect and compliance with City of Boise Design Review standards.